You know what is difficult? Trying to be liturgically correct with one’s celebrations. For instance: today is December 7th, the feast of Saint Ambrose. 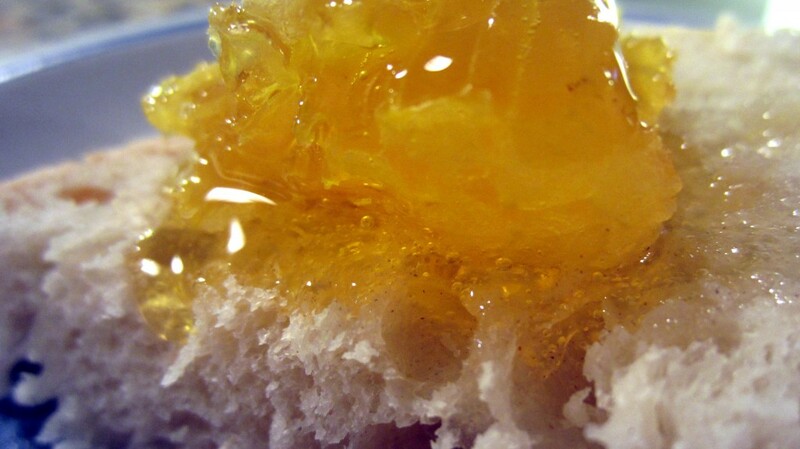 For the past few years, we have celebrated by having honey (preferably with the honeycomb) on this day. But today is also a Friday. During Advent (which is a penitential season, if even if no one knows it). And it is a First Friday. Which much of the Church takes extra seriously. So pretty much the Saint of today is telling me that I should just do what all the local Catholics do… which is pretty much whatever they want. Got it! Just for fun though, let me remind you of the rest of the complications of today. The evening of December 7th is obviously the vigil of December 8th, the great Solemnity of the Immaculate Conception of the Blessed Virgin Mary. Which means that it is a time for celebration, not penance! Which meant that after we returned from the vigil mass it was the perfect time for honeycomb! Except it isn’t the Feast of Saint Ambrose if it is the Feast of the Immaculate Conception. Which means we were too late and missed the chance to celebrate Ambrose. Saint Ambrose, I am sorry for missing your birthday feast day. I firmly resolve, with the help of thine intercession, to read more of your writings, eat more honey, and do better next year! BTW what do you think about starting to use “LC” to mean “Liturgically Correct” in the same derisive sort of way that people use “PC?” A great way to honor Saint Ambrose every day of the year, right? Also, in case you didn’t catch it, this was a jovial post. I only stress about liturgical issues when it is fun. ha! this is hilarious. I totally feasted last night, as a guest of some Mormons. Didn’t think of it as being legit, as a prelude to the Solemnity, I just thought I was breaking the fast. Now I am happier.